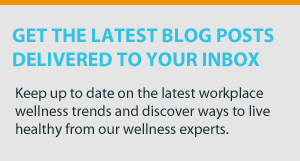 Looking for an easy way to improve morale, reduce stress, and boost your employees’ health? Adding a gym at work is one way to do it. 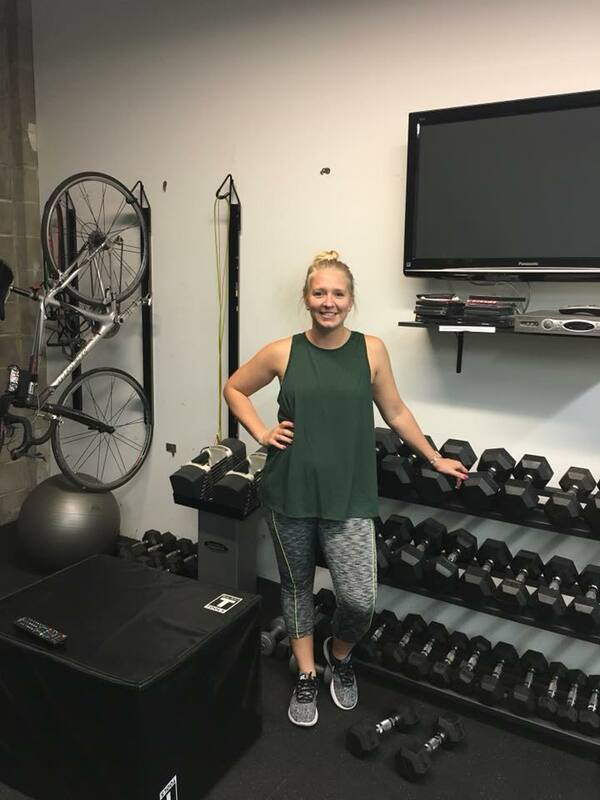 One study showed that offering a gym at work actually has positive impacts on employees and employers. With plenty of research that exercise reduces stress and lowers disease risk, why not consider a gym at work? 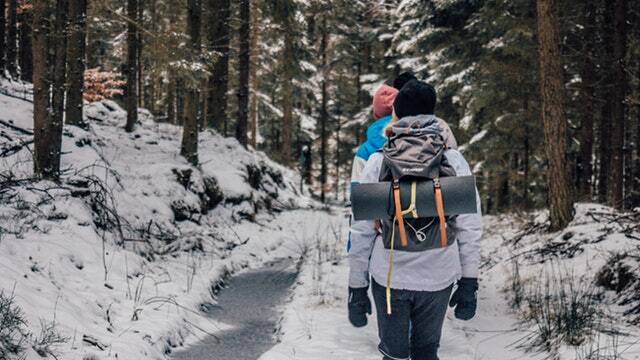 It may be cold outside, but that doesn’t mean you have to quit enjoying the great outdoors — or exercise in general. There’s no need to hibernate like a bear. If you do, you’ll end up packing on the pounds. And, you’ll be grouchy by the time spring rolls around due to weight gain and lethargy. Plus, research shows exercise reduces inflammation while also improving mood and stress levels. Try as you might, you can’t argue with science that staying in bed instead of exercising is better for your health. Is sitting all day slowly killing your employees? Think about the average amount of time they sit in a day. Between commuting, office work, and then lounging at home, it adds up. Research shows sitting for five or more hours a day is equivalent to smoking 1.25 packs of cigarettes. Another study showed a sedentary lifestyle is a potential risk factor for early death. Considering health experts have been telling us our whole lives to exercise more, eat less, and avoid smoking, the research isn’t too shocking. Sitting for long amounts of time has also been linked to health issues like diabetes, obesity, and abnormal cholesterol levels. Those aren’t exactly health concerns you want to sit on and ignore. 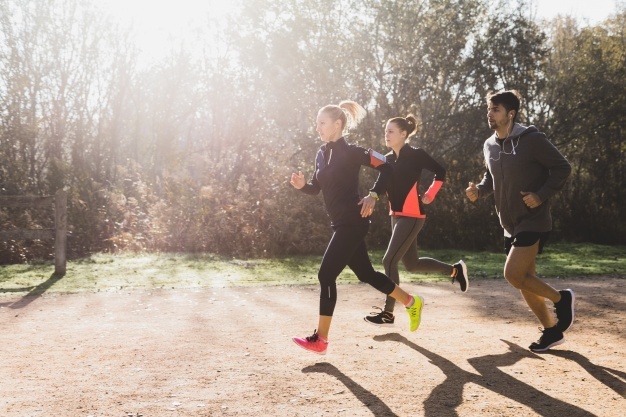 Between crazy work hours, family commitments, and trying to maintain a social life, it’s easy to get a little off track when it comes to your fitness routine. Even missing a few weeks of working out can really set you back on your health goals. Taking a break from exercise can reduce your sense of motivation and make the gym seem more intimidating than it once was. When you take an extended break from working out, your body notices. Your blood pressure rises, your endurance starts to decrease, your muscles start to shrink, and you might start feeling a bit more grumpy or stressed than you usually are. But the good news is that these changes are completely reversible once you get back into your fitness routine. Movement is essential. Our bodies were made to move, not sit all day! That is why regular physical activity is a fundamental aspect of a healthy lifestyle. It helps keep weight in check, reduce the risk of many life-threatening diseases, and boosts overall happiness and wellbeing. If you want a healthy workforce, encouraging physical activity is a necessity. Some of your employees might go to the gym after work, but the sad truth is, if they spend eight hours of the day sitting at their desk, they’re still not moving enough to receive the health benefits of exercise. 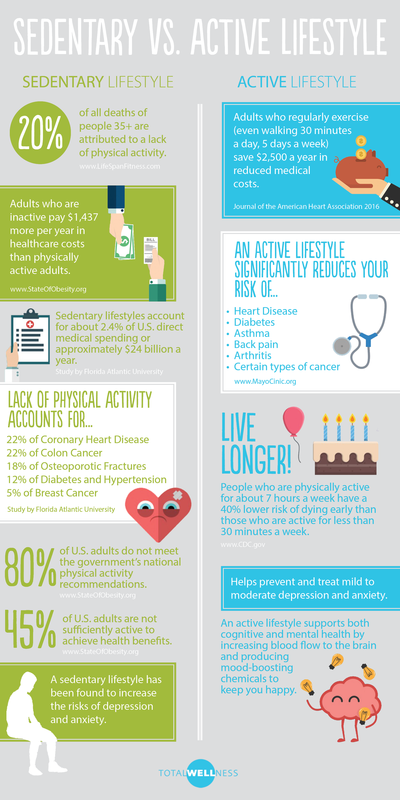 With most Americans living a sedentary lifestyle, it’s no shock that many of your employees aren’t exercising enough. Working full-time makes physical activity difficult for your employees – but it doesn’t have to be this way! 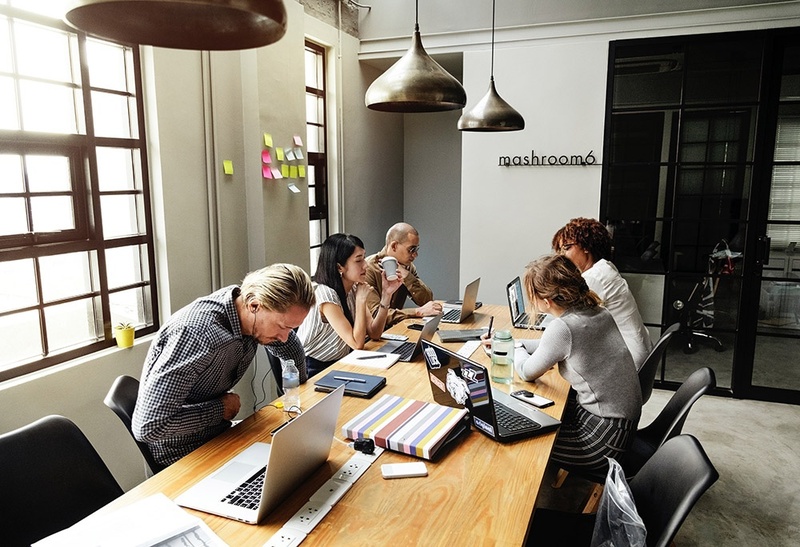 By making some simple changes around the office, promoting healthy habits, and creating an active design for your workplace, you can make a difference that will not only improve your employees’ work performance, but improve their lives as well. If you recently started the journey towards an active lifestyle, congrats! You’re on your way to a healthier, happier life. The tricky part about starting a new fitness routine is that the “finish line” can seem a little too far sometimes. We’ll admit, sticking with a fitness routine is hard. But the results make it so worth it. Ah, summer vacation. We fantasize about it all winter long, and we count down the days until we pack up and finally hit the road. Sitting on a beach with a drink in your hand is a great way to pamper yourself, unwind, and recharge. 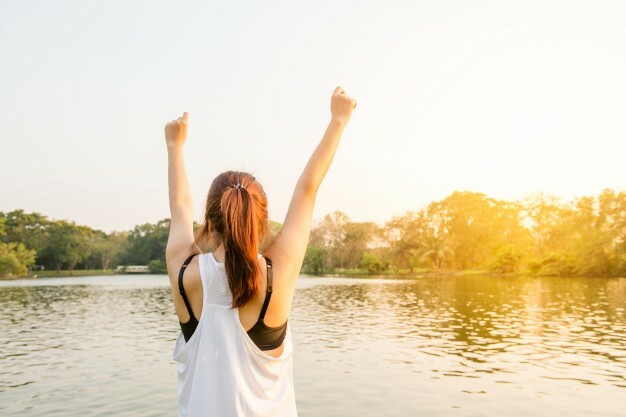 Whether you’re traveling abroad to sightsee or relaxing on a tropical island, one thing about vacations is certain: routines get thrown out the window – especially fitness routines! “I don’t have time” is the go-to excuse for skipping the gym. 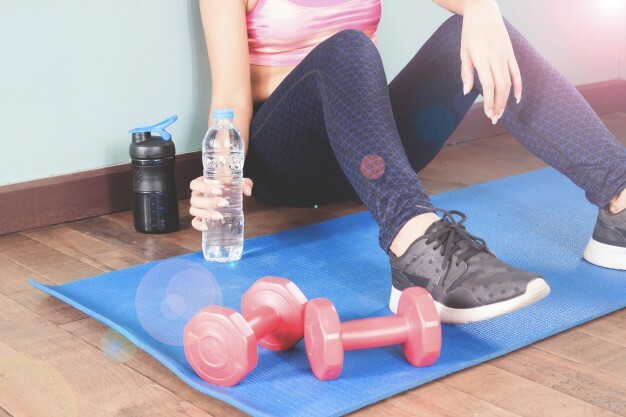 Work, family, and social commitments make it difficult to incorporate a workout routine into your everyday life, but it's definitely not impossible! The thing about exercise is that it doesn't have to be an hour of cardio at the gym or completing a triathlon. Exercise can be any activity that increases your heart rate and gets you to sit less and move more. When time is of the essence, the easiest strategy is to break down daily exercise into short, frequent stints throughout the day. Even 10 minutes, 2 to 3 times a day, can be enough to achieve the significant health benefits of physical activity. 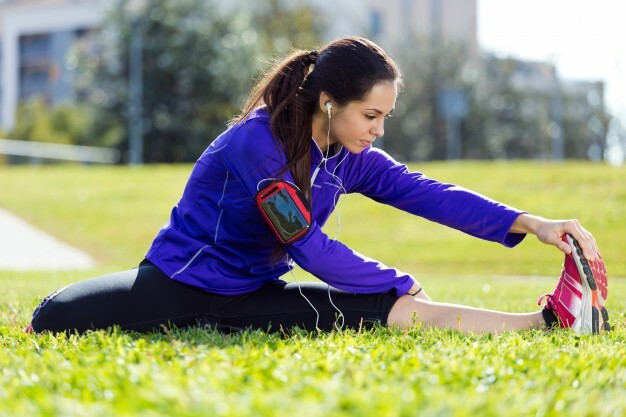 Once you’ve broken down your daily workout into easy, achievable time slots, you’ve opened up a world of exercise that doesn’t include an hour of cardio.